We all know how important it is to create a strong business plan before launching a business. While not mandatory, a well-conceived and executed business plan serves as a road map to help you achieve your overall company goals. The same is true for developing a comprehensive marketing plan. This post outlines your approach to researching your target audience, identifies tactics you’ll use to reach them, and creates an overview of all the marketing campaigns you plan to launch over a set period of time. While some marketers opt out of building a marketing plan, choosing not to create one comes with some serious drawbacks and potential poor outcomes. Ineffective Targeting. A marketing plan helps you better assess your market, pinpoint your target audience and choose the best marketing strategies. Without the strategic mapping that a plan provides, your marketing campaigns may prove ineffective. Budgeting Issues. Setting a marketing budget is a key component of marketing plans. A marketing budget helps you determine how much money is needed for various key strategies to prevent excess and unnecessary spending. Inability to Measure Effectively. With the right metrics in place, you can accurately track the marketing approaches that are most effective for specific audiences, along with the media used to reach them. Poor Results. Without a well-framed marketing plan, poor results are all too common. Marketing teams that launch campaigns without a solid plan often end up trying to work with poorly developed ideas and disjointed marketing activities. One of the best approaches to creating a top-notch marketing plan is to strike the balance between making sure it is comprehensive yet simple. Here are five key elements to include in your plan to help you do just that. Analyze past and current marketing campaigns to determine what has and hasn’t worked in helping you reach your target audience and generate qualified leads. We recommend reviewing each tactic individually - from digital advertising to radio endorsements - to determine what to include in your marketing plan. Examples of SMART goals you may add to your marketing plan include increasing the value of each online sale per customer by 5% by a certain date or improving customer engagement on social media by 35% within a certain time frame. There are a number of channels and tactics from which you can choose to reach your audience. Include those that have proven most effective in the past - which might include radio endorsements, content marketing and social media marketing - and include new tactics and channels based on industry trends and best practices. Your marketing budget is determined by many variables, including your industry, the size of your business and current market share. You may also choose to enlist key accounting staff to determine what you can afford for your marketing campaigns. With an allotted budget, you can either pare down or expand the scope of your marketing plans. 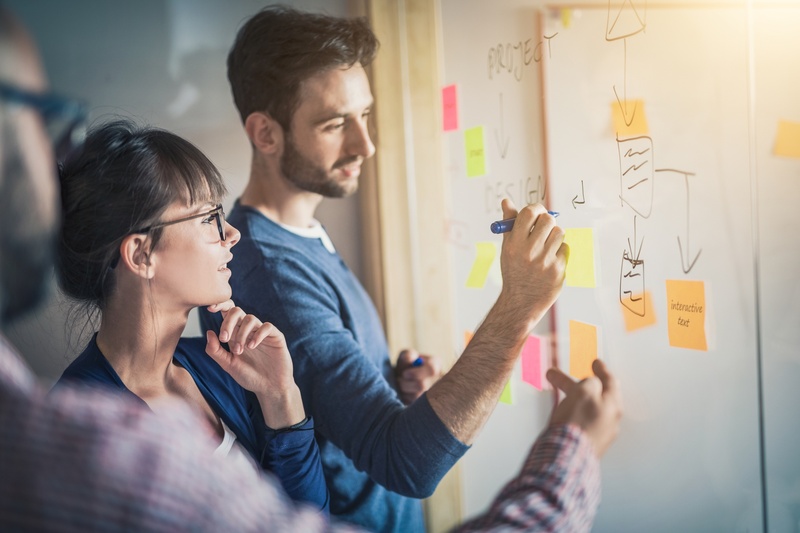 Developing a marketing plan may seem like a complicated task to your marketing team, but in reality, it is the driving force behind an efficient, results-oriented marketing department. Before placing your next ad, take some time to develop your own marketing plan - and include the elements mentioned above - to gain success from your marketing campaigns.